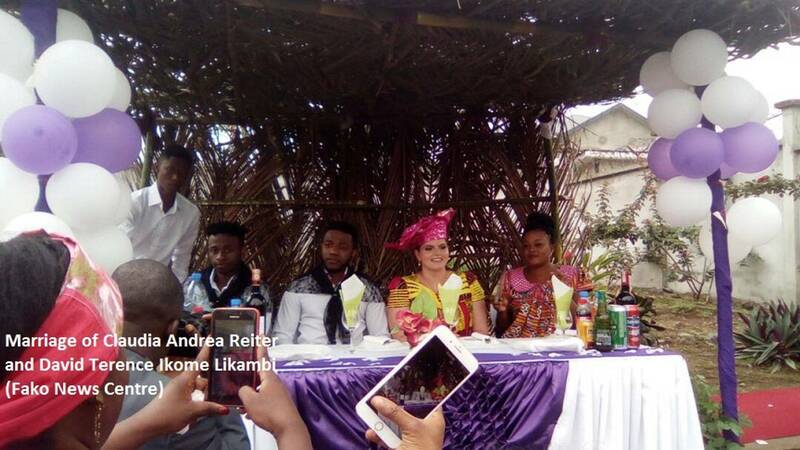 Mola Ikome Likambi David Terence and wife Claudia Andrea Reiter, on Saturday March 31, 2018, stunned the Wokwai (Bokwai) community in Buea to give a traditional colour to their union. 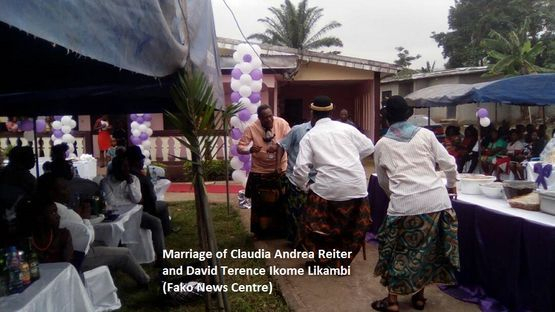 The ceremony that took place in the Ekome Likambi’s residence in Wokwai witnessed the performance of traditional dances like Cha-Cha and Lingombi, and also choral singing. 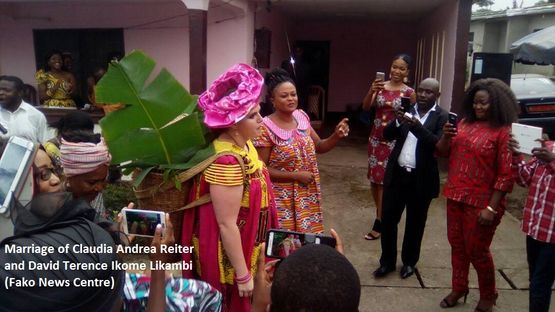 The two who legally got married abroad in 2016 returned this year to the home town of Mola Ikome Likambi to honour his culture by performing some traditional marriage rights. 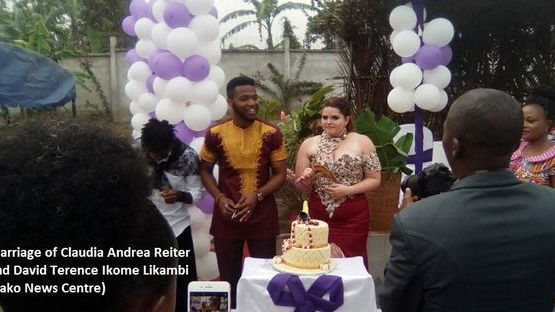 Talking during the ceremony, the father to the groom, Mola Ekome Likambe Senior, noted that the traditional marriage ceremony was a show of their love to the bride and her family. 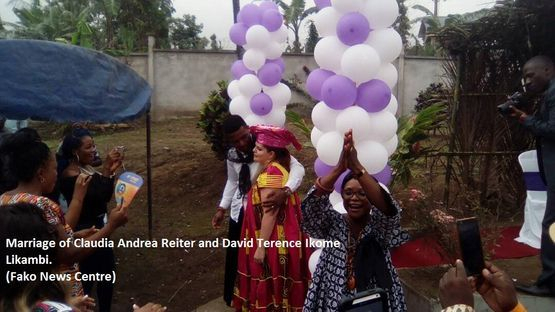 He added that love amongst the Bakweries must be made public and that is why they have proudly invited members of the community to present their wife, Claudia Andrea Reiter to them. 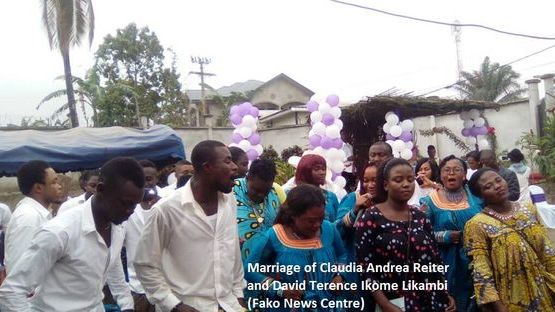 As proof of her acceptance to the Ikome-Likambi’s family, Claudia has been named after her husband’s grandmother, Enanga, who was the mother of the family until her death recently. David-Terence and Claudia won each other’s heart four years back when they met in Liverpool, UK, and are currently based in Stuttgart, Germany.